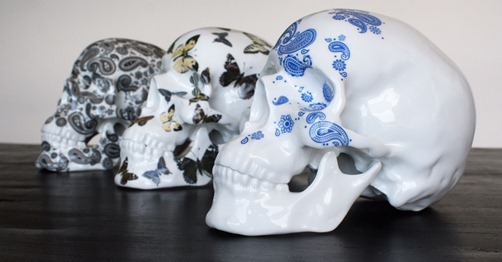 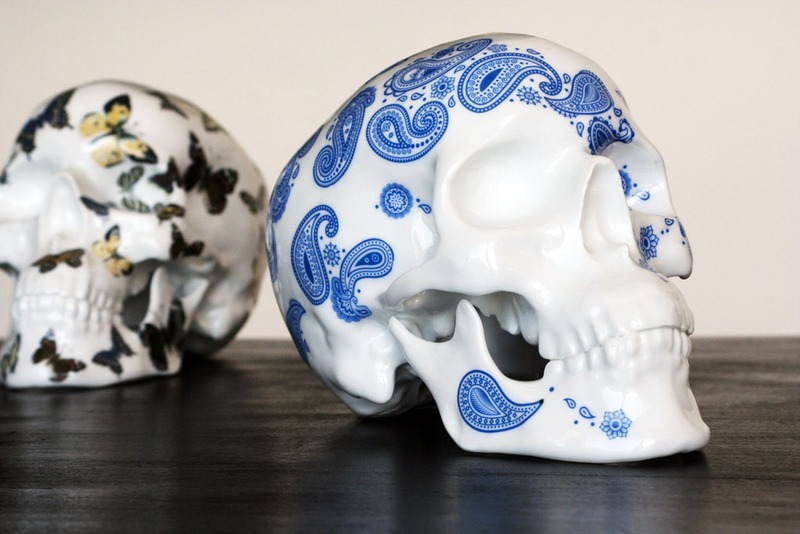 K.Olin Tribu has just announced the latest edition of its porcelain Skulls by French artist NooN. 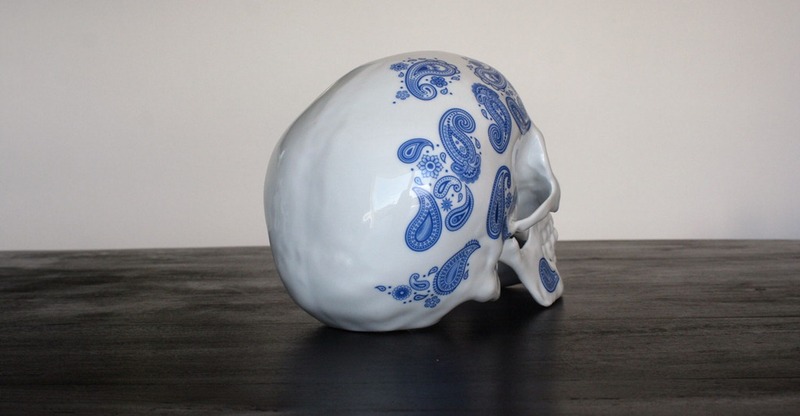 Limited to 50 numbered pieces, Cashmere Blue (~ 7.8 x 5.1 x 5.1”) features a traditional blue deco pattern hand applied by the artist, making each Skull in the edition unique. 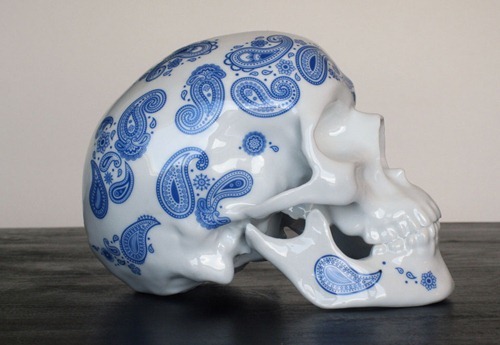 Cashmere Blue will be available for pre-order on Wednesday, May 7th 2014 @ 9 AM PDT from K. Olin tribu’s web shop for 300 Euros (~ $416).